Does anyone else have a Minion loving little one? Maddie Grace may only be 14 months old but she certainly knows what she likes and dislikes and she LOVES her Minions! One rainy day recently we were both in the mood for breakfast for lunch (well I was and I’m assuming she was because why wouldn’t she be) so I decided to get a little creative and make some Minions to eat! 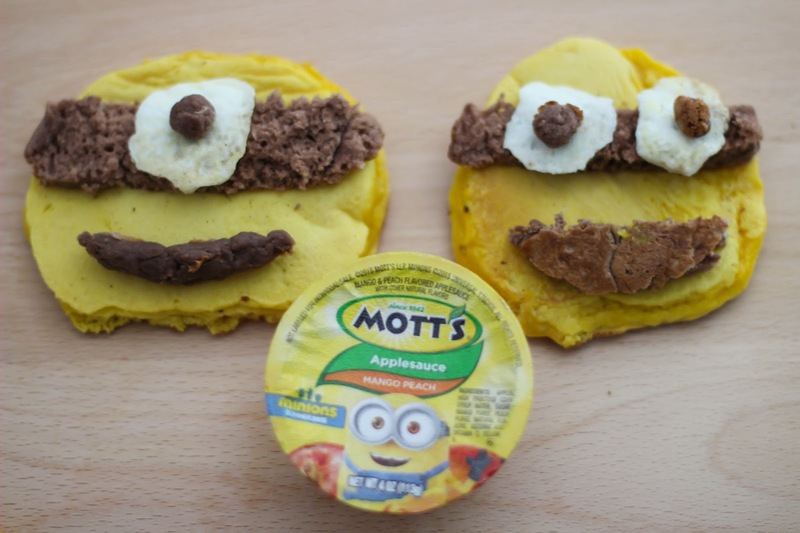 I have a famous pancake recipe that uses Mott’s apple sauce to make the most delicious pancakes you could dream of, and that’s what I used as a base for these Minion pancakes. Taking my pancake recipe and turning it into these Minions was way harder than I anticipated. Worth it? Yes. Especially seeing Maddie Grace’s face when she saw them. But they took time and patience which I don’t always have a lot of. (1) In a mixing bowl whisk 2 cups pancake mix, 2 eggs, 1/2 cup milk, and both cups of Mott’s Apple Sauce. I used mango peach flavored apple sauce and it gave my pancakes some delicious flavor. Add 15-20 drops yellow food coloring and stir until well blended. 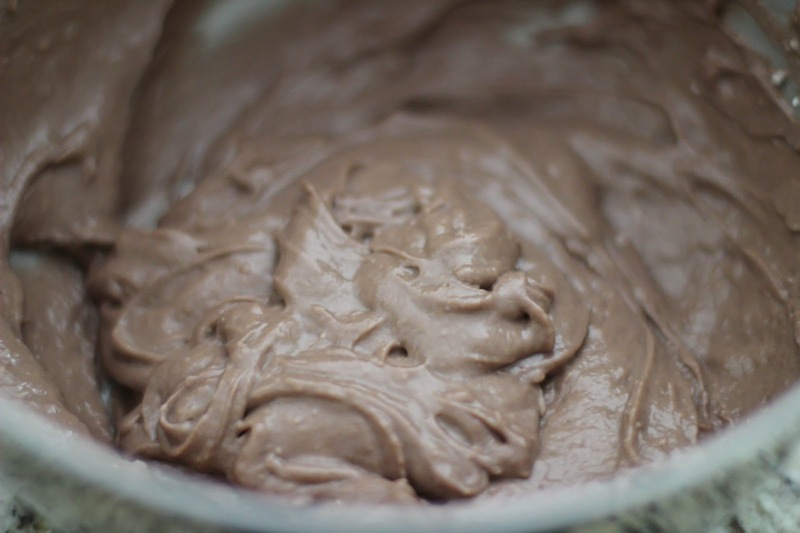 (2) In a separate mixing bowl mix with a large spoon 1 cup pancake mix, 1 egg, 1/4 cup milk, and chocolate pudding cup. (3) Turn your griddle to medium heat or heat a frying pan to medium heat. Spray well with oil or butter. 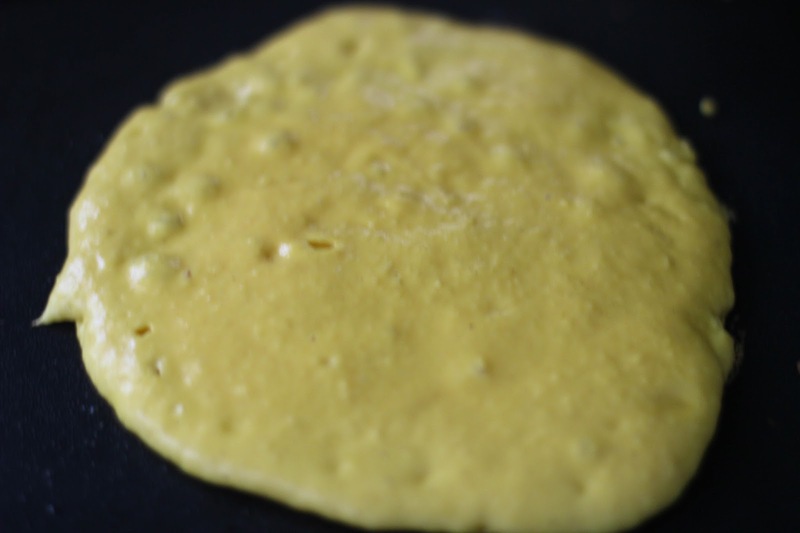 Make medium sized pancakes using the yellow batter. The trick to maintaining the yellow color and not having your pancakes be too brown is to cook the first side until well done, and only cook the other side 1-2 minutes. (4) Cook several medium sized chocolate pancakes. Use the egg whites to cook small circles on griddle for Minion eyes, however many you may need. (5) Assemble your Minions! 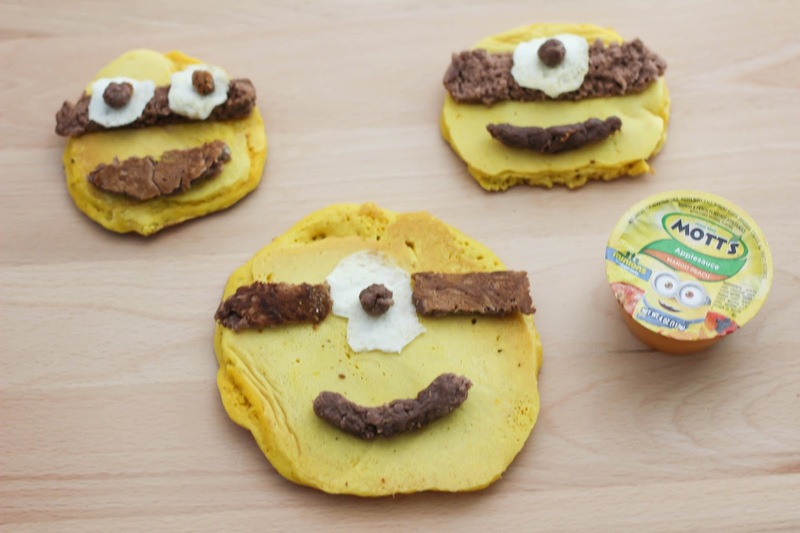 Start with a yellow pancake, then dissemble your chocolate pancakes to make Minion eyes, smiles, and headbands. Use egg whites for the Minion eyes and you’re down! 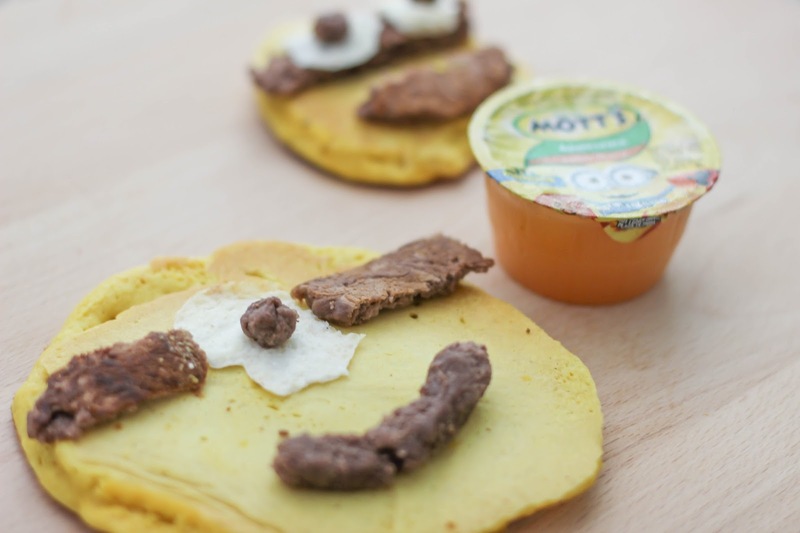 (6) Take pictures to document that you successfully made Minion pancakes! 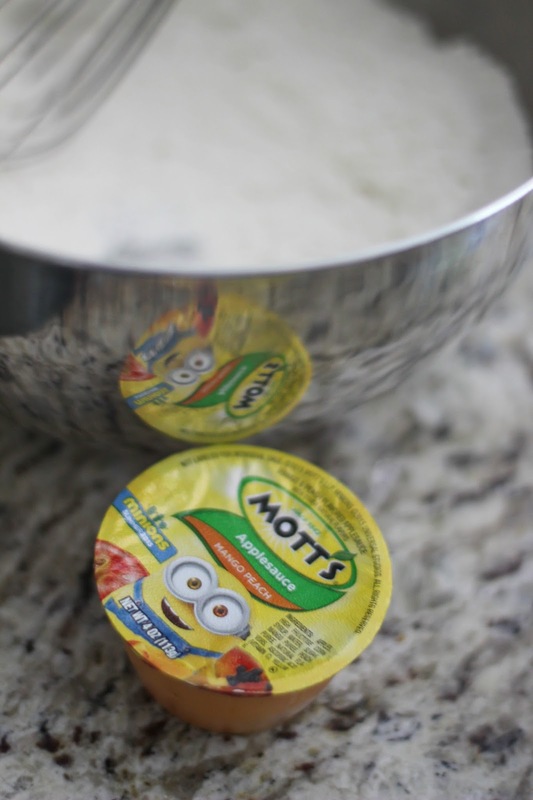 I love using Mott’s apple sauce because it’s an excellent source of Vitamin C and gluten free! You can find everything you need for this recipe at your local Food Lion! Right now buy any two (2) Mott’s 64 oz or 6 – pack Juice products and get a FREE 6 – pack of Mott’s applesauce. Be on the lookout for the Limited Time Mott’s MInions packaging that you’ll only be able to find through July 31st, 2015, in Food Lion stores. 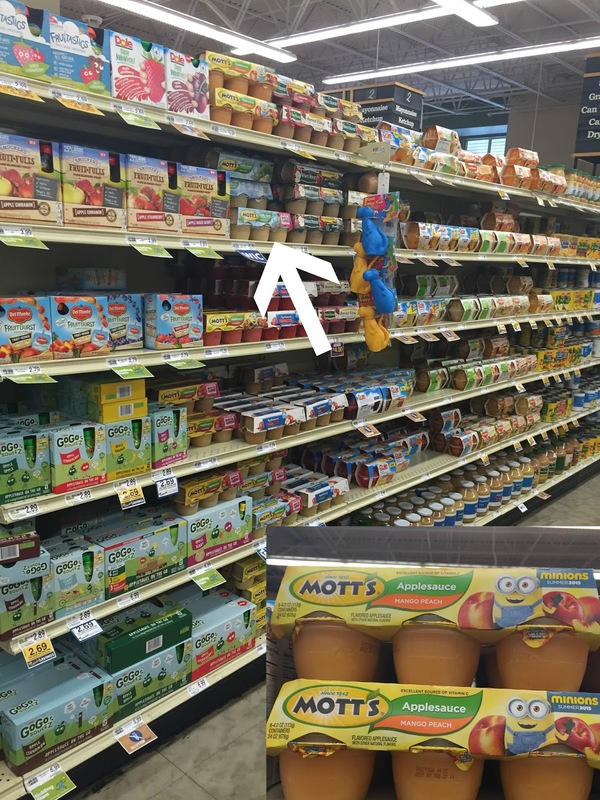 Mott’s will be launching 3 new Minion approved flavors in Food Lion stores: Strawberry BA-NA-NA applesauce in a 4 pack of pouches, Tropical BA-NA-NA applesauce in a 6 pack of cups and tropical BA-NA-NA juice drink in a 6 pack of 8 ounce bottles. What Mott’ s products are you going to stock up on this summer? These look so cute! 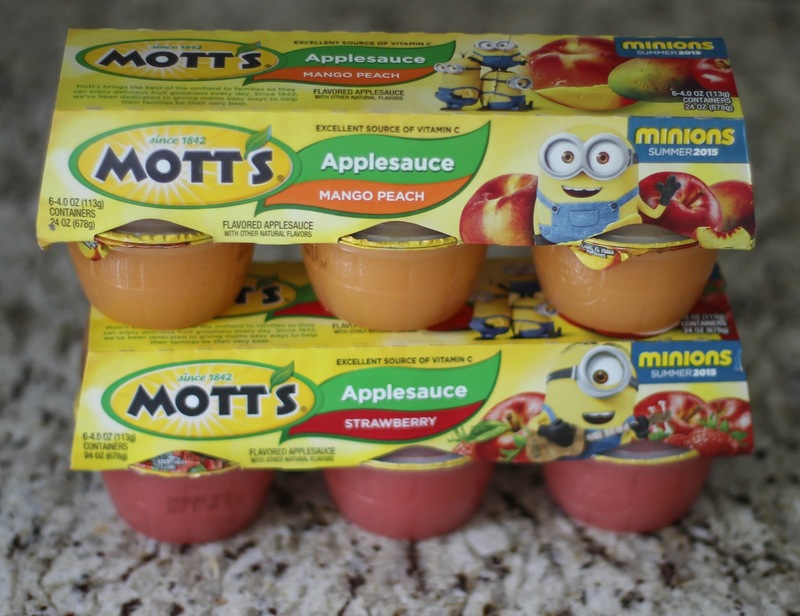 My girls love Minions and actually we bought the applesauce at the store yesterday. So cute. I'm sure kids will love it. What a cute idea! I bet my boys would love these. This is such a cute idea. I love Minions a lot! Me too! They're so cute! Such a fun and cute Idea! I think my kids would love this!! Thanks for sharing! Well these are ridiculously cute! You are seriously a supermom! I'm crazy about the minions too ! Only a few days before seeing the minions movie !! By the way, I made a blog with my children (http://planetminion.com), and I listed 40+ ideas for a Minions birthday party.